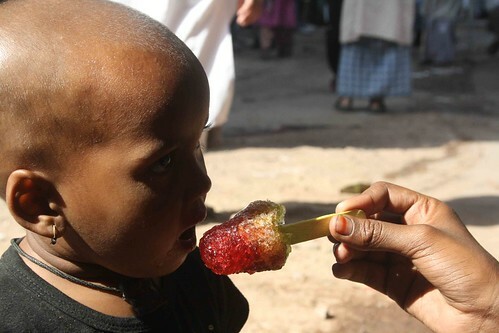 Of course, there are more sophisticated options to beat the Delhi heat—lemonades, ice creams, kulfis, gelatos, juices, milk shakes and coconut water. But sucking on chuski is, perhaps, more elemental in coping with the miserable months of May and June, when the dry, dusty winds of Rajasthan cover the city in a yellow haze. 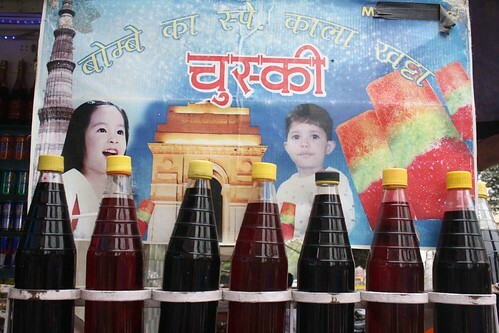 A tightly-packed ball of crushed ice, chuski is flavoured with syrup, usually of artificial flavours, which can be sweet and tart as orange and lemon, or spicy as kala khatta. 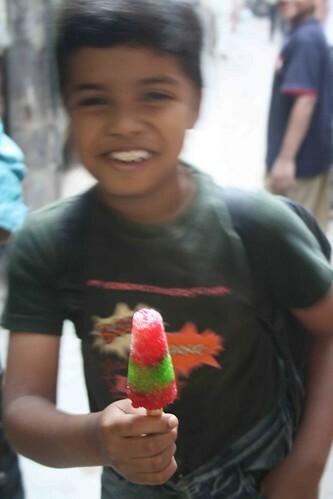 It is packed on a stick and is served in a plastic glass through which the garish colours peek out at you temptingly. In summer, the chuskiwalla bhaiyas station their carts in the most crowded places — outside the Metro stations, adjacent to rickshaw stands or in the lanes of upscale bazaars such as the M-Block market in Greater Kailash-1. In the hygiene-conscious posh areas, the bhaiyas claim to use mineral water to make the ice. 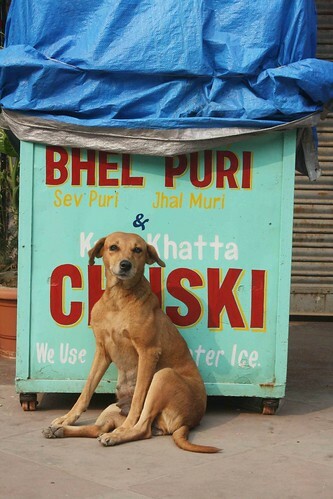 (The Delhi Walla‘s favourite chuskiwalla stands next to Madras Café in Green Park Market.) The tall bottles of coloured syrup line the margin of the cart while the ice grater, sometimes with bells tied on the handle, noisily churns in the center. As the weather gets unbearably hot, the most natural impulse is to yearn for a glass of chilled water. The problem with water is that it goes down the throat too quickly, which feels dry once again. The chuski’s crunchy, silvery snow stays inside the mouth for longer. 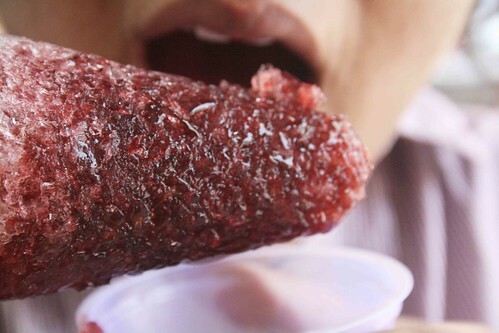 It freezes the tongue, chills the teeth and numbs the cavities. Its iciness makes you deliciously uncomfortable, sending a trembling through the spine and, for a moment, you yearn for the summer to last longer.